Jadeite Jade Jewelry & Rough Stones. We bring you raw jade jadeite stones white green black white and other colors. Rough jade boulder pebble cut block jewelry pendants bangles sculptures artwork and more there is a wide spectrum. As a useful material and some mystic property, also a high level of symbolism is relevant. In other countries not many use jewelry created from the stone but everywhere with a Chinese population that is the material people are dreaming about. Browse our website and tell us what you want and we give you an idea what is available. 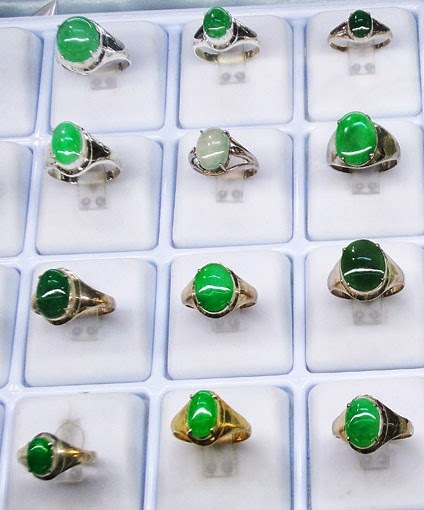 It needs to keep in mind that jade stones are sold per piece and not per carat gram or whatever and the texture plus translucency play a major role in determining the value. As a matter of fact everyone has a different idea about the price of jade since there are no standard parameters especially not with jade colors which makes it often difficult to find a realistic price. This is substantially lower than last years when almost 3 billion where sold they said because of lower prices and a drop in the jade sale volume. Actually it seems to be mainly because the Chinese cornered the market and bought everything available before for lower prices. More than 4,500 traders from China Hong Kong Thailand and Japan attended the emporium this year Myanmar started to hold annual gem sales in 1964 at Yangon. In the past nephrite jade came mainly from Chinese mines currently (2017) the largest supply is from Canada plus New Zealand and Australia. 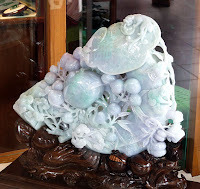 Jadeite is from the mines in Kachin State Burma the rough mineral produced which is also the top quality material for jewelry and statues read more. Some of the items were probably treated with bleaching liquid but it's difficult to find out just at the spot. Buying the mineral is always a risky business because nobody can look into the stone and the method with the lamp needs long experience and is still not safe. Most serious dealers cut the rocks in half or just a corner out to show the customer what is behind, read more. The other day I went to the Jade Museum in Kuala Lumpur to have a look for their beautiful collection the range was from simple small figurines to battle-axes Buddha sculptures jewelry dozens of other creations and even a chair made from where I was able to sit on. Here are cabochons with different colors including black, they are used for novelties, necklaces, and rings. 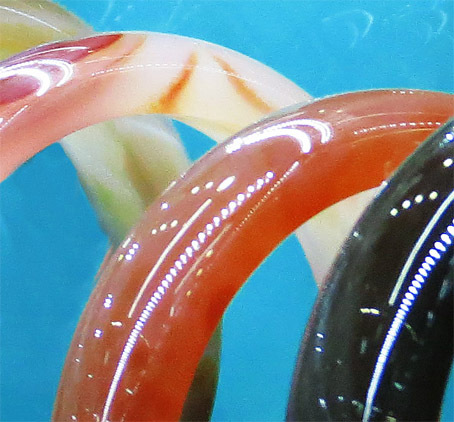 When they are highly polished, as shown below, they are a beautiful optical impression. 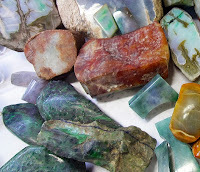 The stones are always opaque, there is no clear version similar to emeralds, read more. 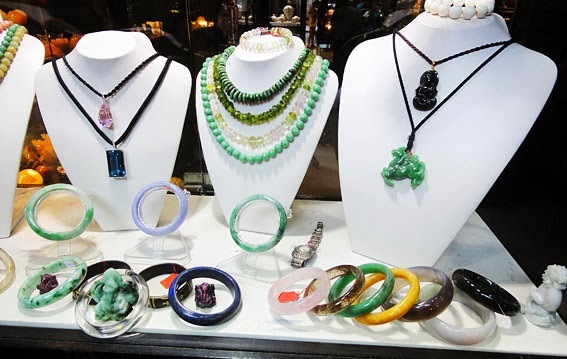 Today most raw jade stones are used to make jewelry such as bracelets, bangles, pendants, earrings and more beautiful necklaces and statues plus mystical items. The picture above shows the colors which really reach over a wide spectrum, read more. 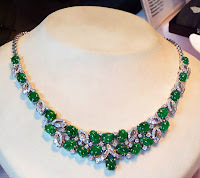 Natural jadeite jewelry is currently the most sought products created from the green stone and an absolute favorite with Chinese Ladies who buy them in volume. They have a mystical relation to this stone, read more. It is obviously that the stone, once a prestigious item expressing status and wealth moved into the mainstream as jewelry and decorative items. Sorting out this amazing stone which sometimes really looks like a transparent soap has continuous surprises. 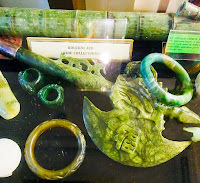 All this is mainly with Chinese people who love jade rings, but also in Europe and elsewhere ancient tools and weapons made from the material were found and today all that is big business and there is a good reason for, read more. Jewelry for sale set in gold and paired with diamonds. Selling Jade is not so easy since it needs quite some experience to guess what's in the stone. Just imagine you buy a rough boulder and when it is cut it looks different to the outer layer. A popular color is a lavender which is also often used for bigger items such as a Buddha sculpture since the prices are still in a manageable region it can't be done with imperial or other top green since the prices will be simply too high. That's one of the reasons why Buddha statues from over about 40 cm height are mostly done in white and lavender, read more. 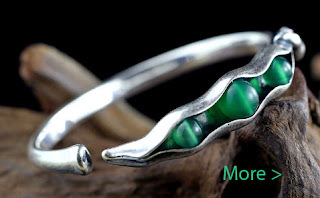 Green, also known as imperial jade, the main use is rather in a female context but not only. There are often gold rings with a prominent valuable green piece. Green Buddha pendants are chic with younger people when they come as ethnic jewelry in a combination with other stones or maybe pearls this enriches the optical impression and indicate some glamor. It creates an exotic oriental aura and can also enrich various accessories. A white laughing Buddha, is one of the most popular sculptures for decoration people say it brings a good spirit into the house read more. There are some other parameter such as the buyer must have a wealthy background for high end material. This carvings are quite expensive, there is nothing below a couple of thousand dollars. Most people also just buy them because it simply looks good. 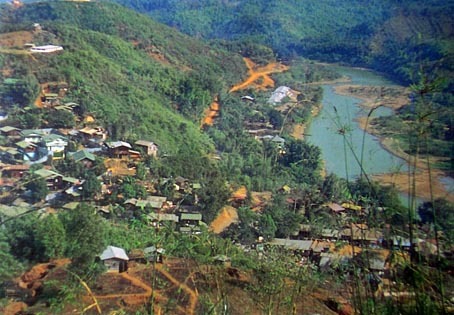 The mining district delivers rough jade for sale. In the Myanmar jade mines, the mineral extracted is jadeite, not nephrite that is produced in Canada, China, Australia etc. The Burmese product is of higher quality by nature, it has better colors and superior texture. That's the reason why people buy it and pay a much higher price for it. Once it is extracted it is cleaned and often cut to show the inside to the buyer, read more. 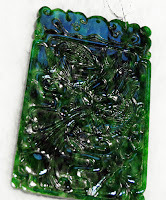 Working with carved jade, this is often a real artist's job, the creation of a great sculpture such as a decorative item, a Buddha, and other objects is everything but easy. 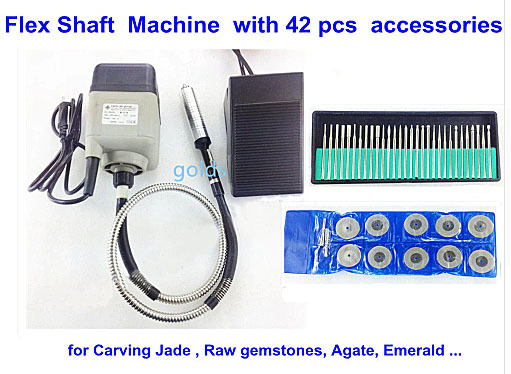 This has also something to do with the hardness of the material which is not far away from the hardness of diamonds. Imperial Jade has the highest value. 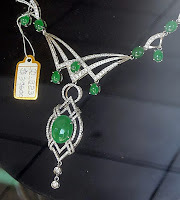 The pendant at the left side is about $ 17.000,- and big sized boulders with more than about a meter in height and good parameters cost several million all this is jadeite. Although there is substantial processing into jewelry, sculptures, such as Buddha statues and other objects going on in Burma, by far the largest production is over the border, they have plenty of manufacturing know-how and skillful artists, carvers etc., read more. There are state-owned manufacturing companies and private owned but the state companies are the majority. Every big city such as Shanghai etc. has its stone markets. 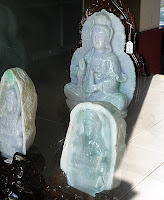 Yangon and Mandalay in Myanmar (Burma) are the best place for buying jadeite jade since there is a large supply of all versions, from the simple stone to the intricately carved statues and jewelry. prices are quite OK and the quality too. Furthermore there a good chance not to be cheated which is very important since manipulated material is almost the normality. 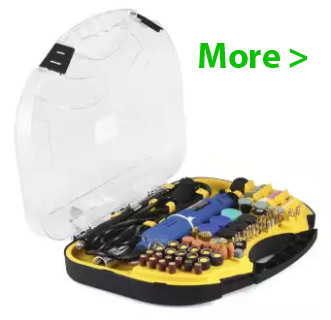 In addition, you can try to make a real bargain, read more. Here is jadeite jewelry such as this necklace with gold and diamonds. It looks real pretty since the workmanship is also top. As it is visible on the price tag it's not cheap knickknack. Where jade is available for sale in Yangon? In the Bogyoke Market, read more. Antique & Vintage Jade usually have a rather conservative style. Black Jade Stone from Myanmar (Burma) came to market in recent years and quickly got a substantial share because the quality is excellent. 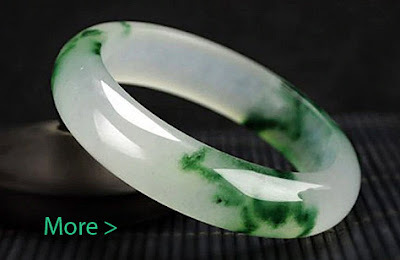 Burmese (Burma) Jadeite is top notch material. Buy Jade, Shopping and Business be careful when purchasing some expensive jewelry often the base material is treated. The best carvings come from China. Chinese Jade Jewelry & Culture has some strong connections. 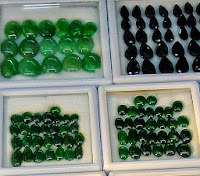 Guangzhou Jadeite Market is the biggest one for "Myanmar Jade". Is it genuine Jade is a question you better ask carefully when getting a high-end jewelry. 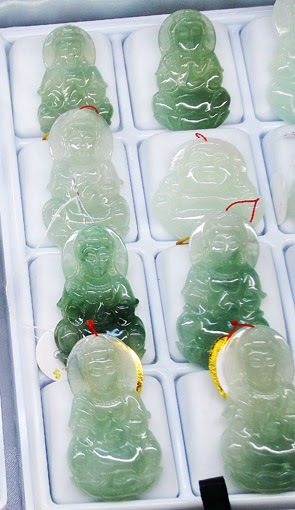 Jade Sculptures are the most sought items after jewelry. 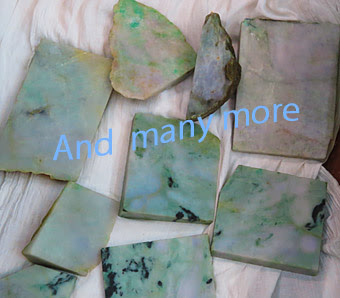 Rough jade forms available are boulders pebble cut block jewelry with green and other colors such as pendants bangles sculptures artwork and more there is a wide spectrum.